Samsung is an internationally-renowned technology company. They make everything from smartphones and tablets to a full range of household appliances. Mix Repairs regularly handles Samsung appliance repair across the capital. We provide a six-month guarantee for all parts and labour with every service as well as full insurance cover. Plus, all of our engineers get regular training updates to familiarise themselves with the latest models the company offers. Samsung appliance repair from us includes specialist services for their fridges, washing machines and ovens – as well as all of the other appliances which this South Korean manufacturer provides to households and businesses all over the world. Get swift action when your fridge breaks down. Mix Repairs gives you fast, hassle-free and fully insured Samsung fridge repairs for every model of appliance this manufacturer offers. From services suited to their smaller chiller options to Samsung American fridge freezer repairs if you have one of their larger combined models. Because your appliance will be fixed before it becomes an issue. We’ll send you a fully qualified engineer who has a great deal of experience in Samsung refrigerator repair. They’ll be able to quickly diagnose the fault and effect any necessary fixes. We usually have all of the needed replacement parts in our van too. So there’ll be no delays in getting your fridge or freezer back to full working order. All of the Samsung fridge freezer repairs we complete come with our six-month quality guarantee for all parts and labour as standard. 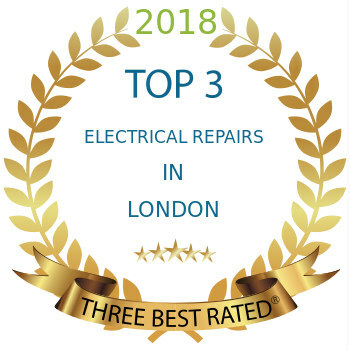 But no matter what general maintenance, specific part replacement, diagnosis or Samsung fridge repairs you need, we’ve got the expert engineers – and the short-notice appointments – to make it fast and easy. You can also count on us to replace machine belts, doors, door handles and motor brushes as well as to install new appliances and make sure that they’re working properly. Whenever you need Samsung washing machine repair, simply get in touch with us. We can be there to get your appliance back to proper working condition very quickly indeed. Book Samsung washing machine repair at short notice – even on the same day or for the next day. We can diagnose and troubleshoot problems you’re having with any model of clothes washer which Samsung makes, including both domestic and commercial ones. We do so safely as well as quickly. Because all of the parts and labour which are necessary for your Samsung washing machine repair service come with our standard six-month quality guarantee and are fully insured to boot. But we can actually handle all faults and malfunctions. We’re also being installation specialists – we make it easy to ensure your new Samsung oven has a properly set gas line and electrical hook-ups. Whatever the problem you’re facing, all you need to do is give us a call. Samsung ovens are a feature of domestic and commercial kitchens across London and up and down the rest of the UK. When something goes wrong with your usually trustworthy appliance though, Mix Repairs is all set to put it back to rights. Our Samsung oven repair service is fully insured, available on the same day and all parts and labour your repair might require come with a six-month guarantee.